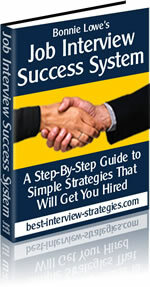 Starting a new job tips - learn the dos and donts and how to get off to a great start! A new job is a wonderful accomplishment. This excellent article by guest author Jennifer Jordan will help avoid the somewhat intimidating feeling of being the 'newbie'. It is estimated that we, as average Americans, have between eight and ten jobs in our lifetimes. While many of these job changes may be for positive matters - a more challenging career, better advancement, more lucrative pay - the fact remains that starting a new job can be one of the biggest stresses in life. The reasons for this vary. For some of us, learning the technicalities, the ins and outs, of a new job may be the biggest burden. For others, learning the way around the building - how to get to the coffee pot and the restroom - may prove difficult. And, for some, simply learning where the new office is located may be the biggest inconvenience. However, for the majority of new jobbers, chances are the greatest intimidation factor, the one that causes the most anxiety, is simply meeting new people. Walking into a job where everyone seems to know each other - patting each other on the back and asking about little Johnny's soccer game - can be overwhelming for the person who knows no one. It causes a fear resembling high school, as the newcomer wonders who they will sit with at lunch. Though this may seem like an occasion drowning in discomfort, there are a few things that can be done to make it as smooth a transition as possible. It's hard to gauge what kind of clothes to wear on the first day of the job. While many offices are listed as "business casual", the term "casual" leaves a lot to be interpreted. For some of us, casual may be wearing slacks and a button down shirt, for others it may be wearing jeans and a t-shirt. Still, for a few, casual may simply mean wearing to work what was worn to bed. When you are starting a new job, it's best to err on the side of caution and prepare to be overdressed rather than under-dressed. Wearing a suit while everyone else is wearing slacks and blouses will go over much better than wearing jeans while everyone else is wearing a suit. There seems to be an unwritten rule laced within the insecurities of each person, a rule that tells us to "try to impress people" when we are nervous. While this may sometimes serve the intended purpose, more often than not, it backfires. Take for instance this example: as a newcomer overhears an established coworker say that they just had their first paper published in a medical journal, the newcomer steps in to speak of their two articles previously published. While the person who is new is just trying to "look good" in front of coworkers, trying to impress them can come across more as arrogant, and a little desperate. To make matters worse, when the impressing is tagged onto a coworker's own boasting, the newcomer looks like someone out to one-up everyone else. This, ultimately, results in not impressing others, and just depressing yourself. People like to talk... about themselves, about their kids, about the time they landed a merger between two giant corporations. Showing interest in a coworker will make them interested in you: people are often their own favorite subjects. If you're having trouble mingling with others, simply pick something out about them and ask questions. Point to a picture on their desk and ask if that's their spouse, ask them where they grew up or how it is they landed a job at the company. And, if you're having trouble with an aspect of your job, ask questions about it. People are often more than willing to share their knowledge; most people will jump at the chance to convey their own intelligence. Everyone is not professional at their job at one point or another. If you work somewhere long enough, a few flawed moments are sure to creep in. People show up late, or put their legs on top of the desk, stretching out as they type a memo. People take too long making personal phone calls or spend an hour in the bathroom talking about their coworker's botched perm job. People take an extra long lunch, sneaking back into the office when their boss isn't working, or take a ream of computer paper home for their personal use. While everyone is guilty of being unprofessional at times, don't use these times at the beginning of your job. You see, we build to that. Jobs are often filled with the opportunities to be social. From a happy hour to a lunch outing, from a Tupperware party to a company softball game, behind every cubicle wall there is the ability to get to know your coworkers. While you may hold onto the notion that you are at a job to work and not at a job to make friends, it's proven that those who enjoy their coworkers enjoy their job much more. So, when coworkers invite you to after hour get-togethers, take them up on it. You don't have to show up to every outing, or be the life of the party, donning the proverbial lamp shade on your head, but attend and get to know the people with whom you work. Show them that you are a team player both in the office and outside of it. Starting a new job can be uncomfortable, but it's something everyone goes through. Heeding the above advice and just relaxing can make it easier. If that doesn't work, keep this in mind: the person at the company who has worked there the longest - the person who knows everyone, who remembers peoples' birthdays, who gives the toast at the company Christmas party - even they were once a new employee.